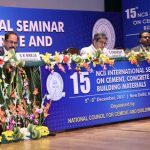 The 14th NCB International Seminar on Cement and Building Materials, held during 1-4 December 2015 at Manekshaw Centre, New Delhi, received overwhelming participation of more than 1050 delegates including 100 overseas delegates from various countries – Austria, Canada, Denmark, France, Germany, Italy, Japan, Netherlands, Oman, Sweden, Switzerland, Turkey, USA etc. Inaugurating the Seminar, Shri Amitabh Kant, Secretary, DIPP, Ministry of Commerce and Industry, Govt. 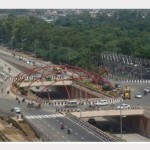 of India said that the Government envisaged several projects on laying concrete roads, Housing for all, Make in India, creation of Smart cities, dedicated freight corridors, Swachh Bharat Abhiyan, Connectivity improvement including water transport which will bring required boost in infrastructure and housing sectors. To meet the projected demand of over 400 million tonnes in 2019-20, he urged the Indian cement industry to accelerate its growth and attain requisite installed capacity. He assured that the Government would seriously consider the principle of “Polluter Pays” to augment the Thermal substitution rate of alternate fuels, which would be of immense support to the cement industry. In his Presidential address, Dr S. Chouksey, Vice President – CMA & Vice Chairman – NCB & Whole Time Director JK Lakshmi Cement Ltd. said that completing its 100 years of journey in October 2014 with enviable growth, the Indian cement industry became the second largest producer of cement in the world after China, with a state-of-the art capacity of around 390 million tonnes accounting for about 7% of the total global production. He pointed out that the cement industry has achieved spectacular results in terms of energy conservation and environmental improvement; the quality of cement produced in the country being one of the best in the international market can easily compete for exports. Shri Ashwani Pahuja, DG-NCB, presented a technological perspective of the cement industry, covering technological advancements, energy performance, environmental improvement, quality management, emerging concrete technologies as well as NCB’s contribution in these areas. 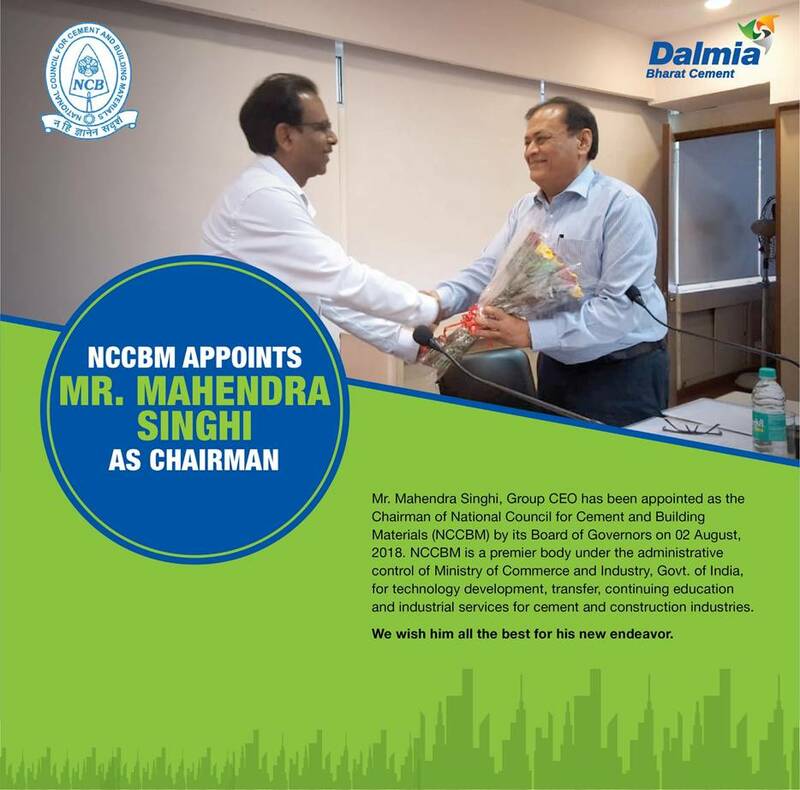 He mentioned that NCB has been actively associated with the Global Cement Sustainability Initiative (CSI), a part of the World Business Council on Sustainable Development (WBCSD) on a key project to assess opportunities for carbon emission reduction and increased resource efficiency in cement manufacturing process in India. This has resulted in a Low Carbon Technology Roadmap for the Indian Cement Industry wherein CO2 emissions are estimated to be reduced to 0.58 t CO2 / t of cement by 2020 and 0.35 t CO2/ t of cement by 2050. Presenting the industry perspective, Shri Ajay Kapur, Managing Director & CEO, Ambuja Cements Ltd. highlighted the sustainability initiatives made by Indian Cement Industry and stressed it was strongly committed to achieve the climate targets following the low carbon technology road map which is already in place. He drew attention to the challenges faced by cement industry such as high cost of fuel due to shortfall in coal linkages, insecurity in indigenous fuel availability; inconsistency in quality of indigenous coal, rail logistics etc. and sought Government’s intervention to resolve the issues. 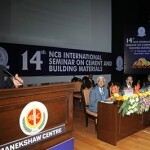 The special publication, “Cement & Construction Industry – Perspective for Sustainable Growth” was brought out jointly by National Council for Cement and Building Materials (NCB) and Cement Manufacturer’s Association (CMA) on the occasion of the Seminar, wherein experts have drawn attention to various issues that need to be addressed by the cement and construction industries to achieve sustainable growth and suggested action plans. Special lectures were delivered by Dr Tetsuya Ishida on ‘Multi-scale modeling of structural concrete for performance based design’ and by Dr Anjan K Chatterjee on ‘New cements and binding materials. The presentations during the seminar covered technological advancements in plant and machinery which have resulted in production lines as high as 12000 tpd and single mill solutions for grinding. Efficient and reliable coolers; waste heat recovery systems; optimised cyclone, calciner and burner geometry designs; roller press systems for finish grinding of raw material, slag and clinker; new generation drive systems for large capacity VRMs and retrofit of energy efficient equipment/systems were discussed. Case studies showcasing opportunities and challenges faced in co processing of alternate fuels and action plans implemented to successfully achieve the Specific Energy Consumption targets of PAT scheme were presented. 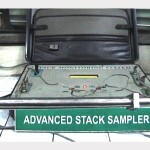 Advanced, reliable systems based on XRF and PGNA (Prompt Gamma Neutron activation) techniques; near infra red online analysis in cross belt and air slide applications; use of isothermal calorimetry in quality control of concrete; laboratory automation; proficiency testing solutions for laboratories; bench marking of quality parameters, with emphasis on maintaining and assessing the quality of testing; best practices in implementation of TQM; bench marking safety standards, were presented. 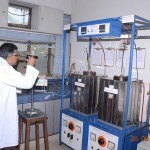 Relevance of newer cements such as High-Belite Portland cement and Portland Limestone cement and new binding materials that are being developed to meet the challenges of mitigating the problems of climate change due to carbon dioxide and the need for further research in this direction was highlighted. 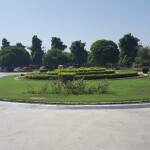 On the application side, sustainable development through use of supplementary cements, construction and demolition waste, newer materials like geo-polymer concrete, increase in durability of concrete structures using newer materials like steel fibres; ensuring durable construction through service life prediction of new structure and enhancement of residual service life of existing structures were discussed. The shift from prescription based specifications to performance based specifications for strength and durability of concrete structures was highlighted. Requirement of cyclic use of materials for concrete making was emphasized. Suitability of flyash based sintered aggregate as an alternate to natural aggregate, bed ash as sand; issues pertaining to use of construction and demolition waste, limestone waste, copper slag etc as part replacement of conventional aggregates; need for controlling river sand mining instead of banning were discussed. 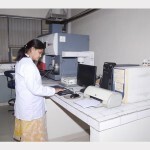 Case studies relating to improvement in engineering properties of concrete by use of microfine fly ash, ultrafine slag and other micro materials were presented. Developmental studies on futuristic materials, claimed to be greener substitute to existing materials like low density aerated concrete, pervious concrete and controlled low strength materials were also discussed. In his Valedictory address at the Concluding Session of the seminar, Shri Shailendra Singh, Joint Secretary, DIPP, Ministry of Commerce and Industry, said that with the ever growing thrust on conservation of natural resources and reducing the carbon foot print, there is a greater need for integrating the use of supplementary raw materials, alternate fuels, waste heat recovery, renewable energy and clinker substitution into the cement process. National Awards for ‘Energy Efficiency’, ‘Environmental Excellence’ and ‘Quality Excellence’ in the Indian Cement Industry as well as the awards for ten best technical papers were presented by Shri Shailendra Singh. The Technical Exhibition organized concurrently with the Seminar gave an exposure about the latest advancements in machinery and related auxiliaries, instrumental & control techniques; chemical & mineral additives & admixtures available to the industry and provided an opportunity for a very useful interaction among machinery suppliers and users.